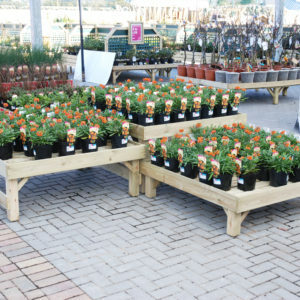 Our rectangular bedding table comes with a 32mm lip ideal for creating beautiful displays out of your colourful bedding plants. 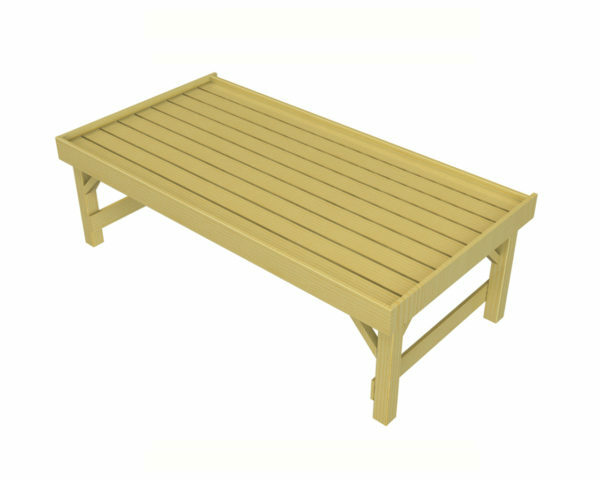 Bedding tables can be used individually as focal points for specific ranges or look fantastic in runs for creating blocks of colour and full view of varying ranges. 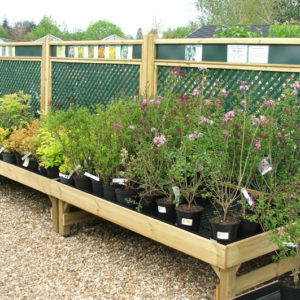 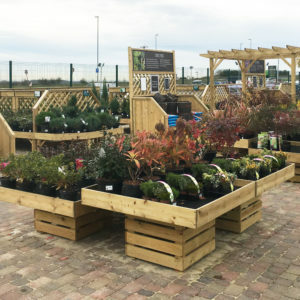 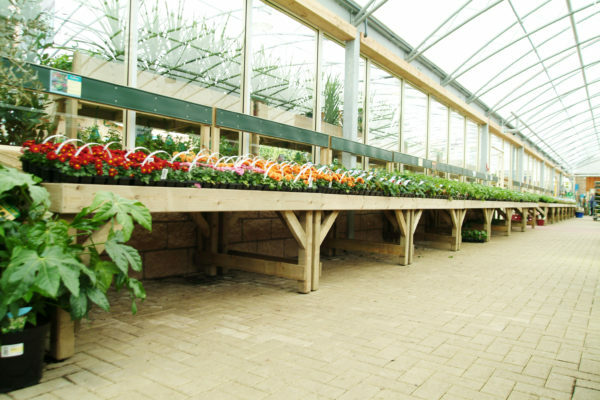 Using runs of bedding tables enables your customers to browse the varying colour ranges and select a variety of bedding plants that work well with one another encouraging multiple purchases. 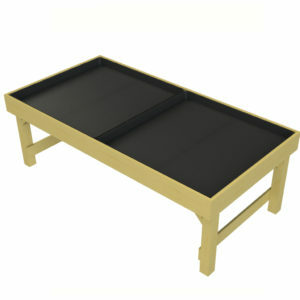 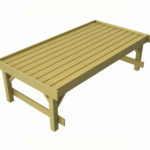 Rectangular Bedding Table: Slatted bed, 120mm planed surround. 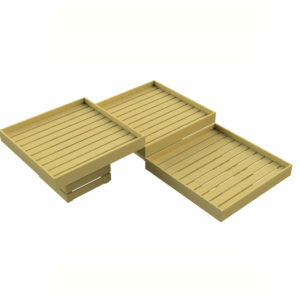 32mm lip (or no lip) and open brace legs. 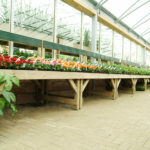 Pressure treated timber. 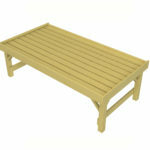 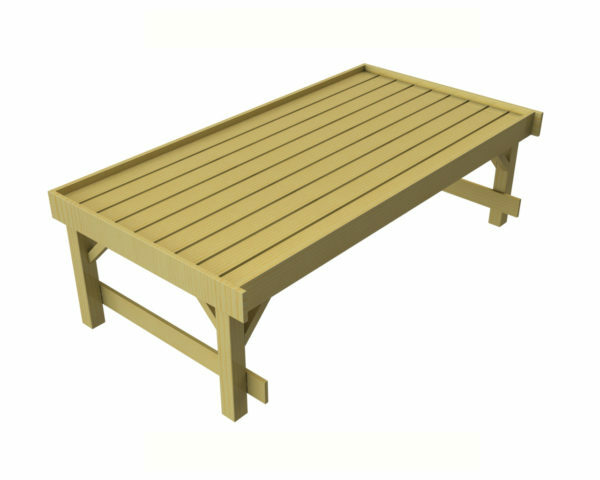 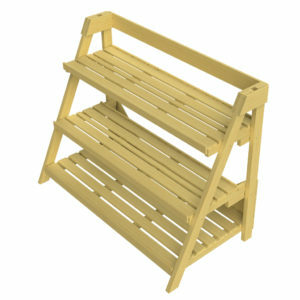 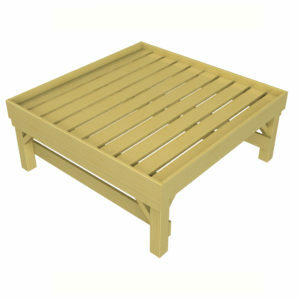 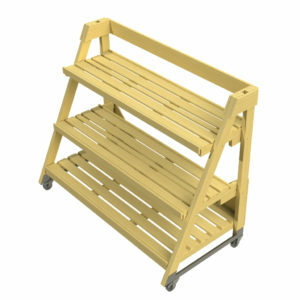 Supplied flat packed or fully assembled depending upon requirement.